As I write these words, dear friends and close relatives of mine are acting on behalf of the Jewish people in the heart of enemy territory. As Israel continues to combat Hamas and our citizens face a constant threat from rocket attack, I believe we can be deeply encouraged by the messages of support and prayer from across the Diaspora. But the question that I am hearing most, and which fills my heart with pride, is what exactly can those in the Diaspora be doing? Indeed, despite having confronted these upticks in violence many times in recent years, there is no clear-cut answer to this question. Each and every person has his or her individual concerns and priorities which will motivate how you choose to respond. But I believe for many, there are practical options to consider that will both strengthen your bond with Israel and in turn allow us to feel that this is an unprecedented time of unity for the Jewish people. Most fundamentally, we must remind ourselves that the current war fits a classic definition of a Milchemet Mitzvah (a defensive war whose victory is a sanctification of God’s name). According to Maimonides, national solidarity is one of the most vital and sacred components of this mitzvah. As we know too well, the IDF soldiers are not only protecting the citizens of Israel, they are risking their lives in defense of the entire Jewish people. Achieving victory in such a war is therefore not an individual task reserved for the soldiers on the battlefield, but rather a communal effort requiring the involvement of every Jew regardless of where he or she might find themselves on Earth. The most fundamental thing that every Jew who is financially and practically able to should do is to seriously consider coming to Israel in the coming days and weeks. Your heart-filled prayers and messages and community events are greatly needed and deeply appreciated, but more can be done. It is important to arrive now in person, to show moral, spiritual and physical support, not just through words but through action. There is no substitute for the national impact of waves of people who travel thousands of miles to hug a wounded soldier or to hand a gift to battered families of Israel’s south. Do not underestimate the strength with which these missions reverberate throughout Israeli society and within the hearts of the IDF soldiers on the front lines. Every time I travel the world, regardless of whether it’s to America, Canada, South Africa, Australia or the UK, it is always inspiring to find Jewish communities who are passionately committed partners in the Zionist dream of building the modern Eretz Yisrael. It is at times like this that I respectfully request that your support be taken to the next level. As rabbis and community leaders it is our responsibility, above all, to inspire action. It must be about action. I respect the fact that there are countless reasons and factors why many people cannot come. We all have jobs or children or personal and financial commitments that deprive us of the luxury of simply getting on a plane and flying to Israel. But for those who are able to overcome those factors, I sincerely believe that you have a positive obligation to come home to Israel at this time. As many are aware, we find ourselves in the period of the “Three Weeks,” a time of historic mourning and tragedy for the Jewish people. Despite the traditional custom to avoid travel during these days, the obligation to support Israel in this time supersedes any such considerations. Throughout our history we have faced many challenges, and our ultimate victory has been assured through unity and caring for our brothers in need. Our connection should not be an expression of mere pity or charity, but rather a deep, national, family bond. In these very days, we have the opportunity to reaffirm this unity. For groups interested in finding out more about how the Tzohar Rabbinical Organization can help you arrange a community mission to Israel, contact Rabbi Reuven Spolter at reuven@tzohar.org.il. 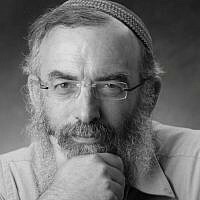 Rabbi David Stav is the Chief Rabbi of the City of Shoham, Founder & Chairman of the Tzohar Rabbinical Organization.